Sports Minister, Solomon Dalung yesterday reaffirmed the Federal Government’s commitment to hosting and providing a safe environment for the African Senior Athletics Championships billed for Asaba, Delta state in August next year. Speaking when the Local Organising Committee paid him a courtesy visit in Abuja, Dalung said that other arms of security would be involved to compliment efforts of the state government during the games. “Nigeria is committed to hosting and providing a safe and secure environment to host Africa and the world and we will compliment the efforts of the state government. Delta is a coastal city and therefore will require more of marine security arrangements. We will engage the Chief of Defence staff for very good complementary support,” he said. He thanked Delta State Governor, Dr. Ifeanyi Okowa for his support to sports development in the country and called on other governors to emulate the state. “We have many Sports Federations and nothing stops each state government from adopting a sport, federation or games. Delta State assisted us with the National Youth Games. Rivers State will host the African Wrestling Championship and Bayelsa has also hosted wrestling in the past,” he added. 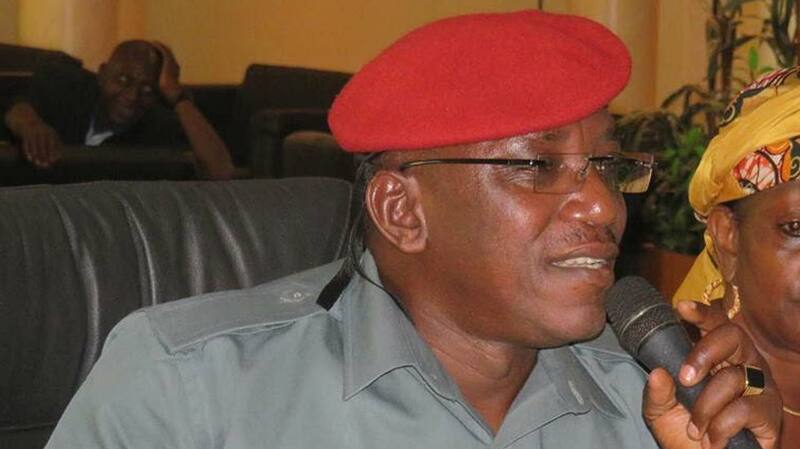 Dalung stated that hosting the African Athletics Championship in Asaba will change the economic fortunes of the state. Earlier, the Chairman of the LOC, Solomon Ogba briefed the minister on how far the LOC has gone in its preparations. “The state government has released N1.9 billion because we want to host the best games in Africa. The Governor has given us 10 Marcopolo buses to refurbish. We have concluded arrangements with GAC Motors to give us 100 protocol vehicles for our top dignitaries. The Governor will sponsor three people heading transport, accommodation and accreditation to the Commonwealth Games to understudy them and see how it’s done.